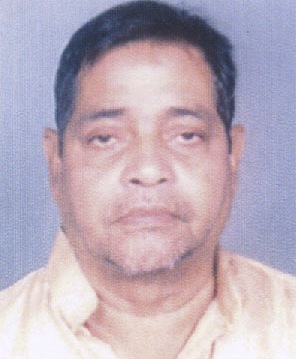 During my stay in New York, I have suffered a great loss in sad demise of Rabi Narayan Mohanty, my friend in trade union movement of journalists in Orissa, who, heading the Bhubaneswar bureau of now defunct Prajatantra for many years, had salvaged Nyayavati – a journal once being published from my native area of Athgarh – and steered it into a recognized daily as its editor. He was a man of deep affection for friends and profound appreciation for foes. He will be fondly remembered by the press and the people of Orissa who know him well. His wife had spent her childhood in my village Tigiria and was the most intimate friend of my younger sister Lily. Therefore, even though Rabi Narayan was Rabi bhai to me, his wife is always a younger sister to me. I have no word to console her and her children. Because I have no word to console myself. Orissa Press will certainly miss the man in whose ever smiling face it was seeing its lively reflection. Always. he was a sourse of encouragement. i lost a masal of encouragement. though i do not know him and he does not know me, yet his reports and write-ups were note-worthy. his demise is surely a loss. ” Bada Bapa” and my children call him ” Dada “…it was virtually blood relationship. Rabi was a great humanist and was always helping people in need. He can be called the pioneer of crime reporting and investigative journalism in Orissa. He was one of the founders of Orisa Union of Journalists ( OUJ ) and was always fighting for the unity and rights of the media persons all over. His sad demise has created a huge vacuum in the field of journalism in Orissa as well as in our heart, which can never be replaced as long as we are alive.. I am thankful to you and Orissa Matters for the condolence message written by you. Rabi will live in our memory for ever..